Hello Everyone, I want to share this pink bird I colored using Copic markers. 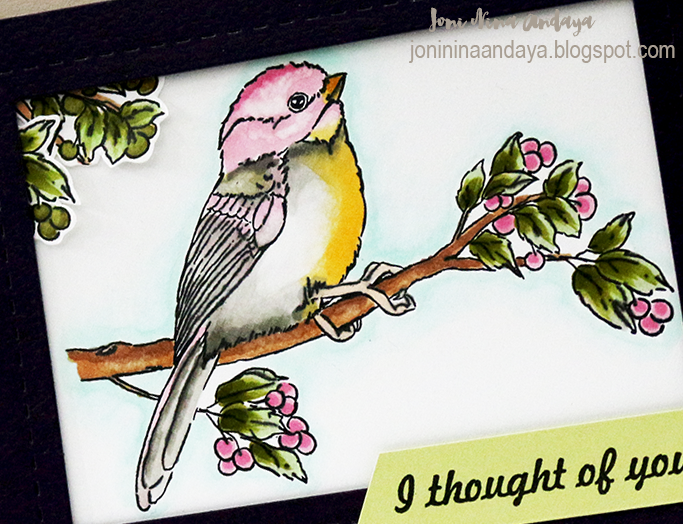 This cute bird that Dawn hand drawn to create into stamps is really wonderful using any type of color media. You know I've been stuck into watercolor lately, just trying to practice using Copics again...feels that I am getting rusty with it now. 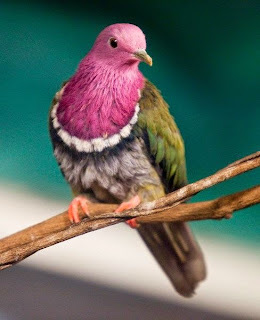 I was looking on Pinterest getting some inspiration on different color birds and I saw this pink one. To begin my card I first stamped the bird image from Wplus9 New Day on a white cardstock and colored it with Copic markers in pink, grey, and yellow. I then added some light aqua on the side of the pink bird to accentuate. Next, I added the die-cut window from the Holiday Apertures die and adhered it on the kraft card base. 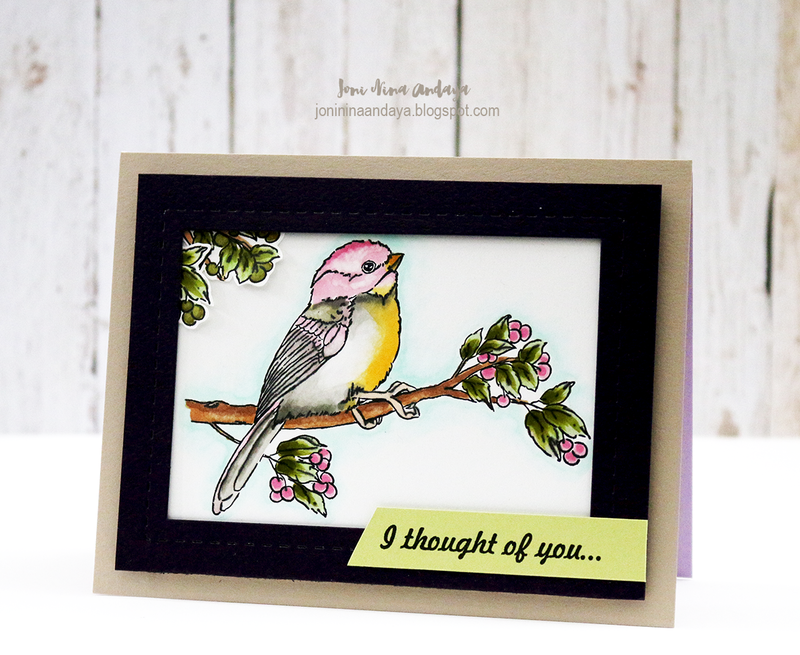 The sentiment "I thought of you" was from the Heartfelt Mix stamp set. Joni thanks so much for making me think out of the box ... I must stop crafting so literally!! Wow. What a stunning card. Absolutely love it !! This is gorgeous! I Loveeeeeeeee the colors!!!!!! Your copic coloring is as beautiful as your watercoloring, Joni! LOVE this!